I am really excited to have finally gotten my Papertrey Ink project finished in time for the monthly blog hop! 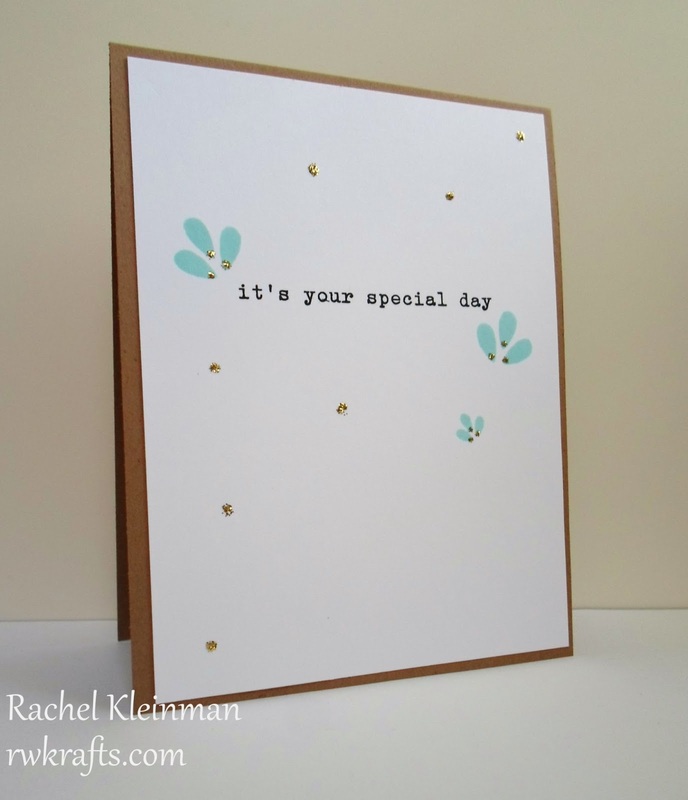 The challenge for June was to add a touch of gold to your card. 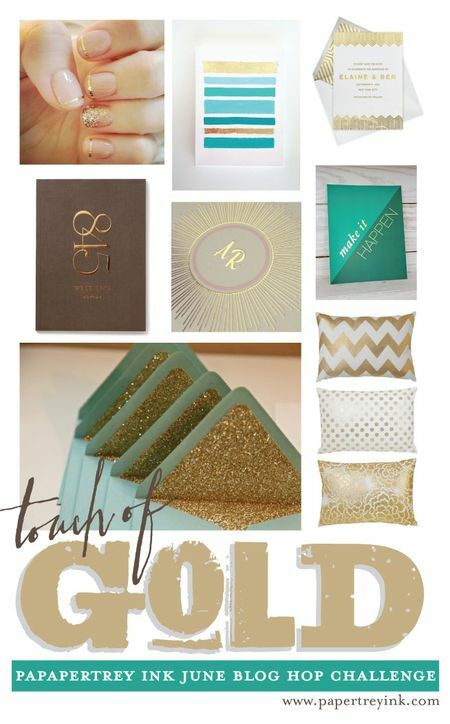 The photo inspiration was filled with teal and gold, so I jumped off of that color combo for my card. Beautiful! I love the gold and aqua. What a great color combination! WOW! Beautifully elegant! Love the touches of gold! Love the simplicity of this card! It's beautiful, and the gold adds such a fun touch. Perfectly balanced & sweet card! Great layout. Love the splashes of color and gold. Cute CAS card and a great way to use the gold!